This was my boyfriend's birthday cake. 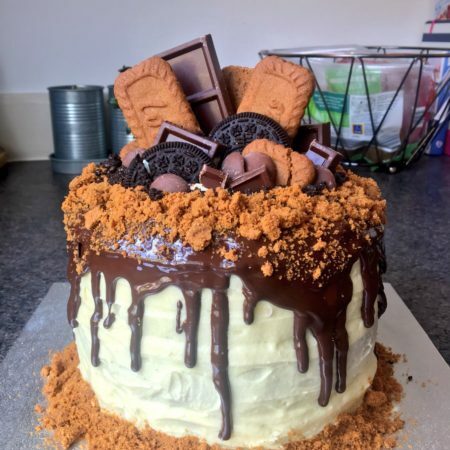 It's made of four layers of vanilla sponge and topped with vegan goodies. Vegan baking is easy, cruelty free and delicious.